Bardstown City and Nelson County school school districts are working to remind local families of updates in immunization requirements for the 2018-2019 school year as many will need to start doses now. The districts have made announcements about the requirements on school websites and Facebook pages. "Nelson County Schools and Bardstown City Schools are interested in getting an early jump on the requirements because two new rules require two doses, six months apart, for two separate vaccines," a press release from Nelson County Schools states. Recent amendments to the state law regarding immunization schedules required for attending school take effect after July 1, 2018, but the new school year starts Aug. 1 for Bardstown City Schools and Aug. 5 for Nelson County Schools. • Students 16 or older must show proof of having received two doses of Meningococcal ACWY vaccine (MenACWY) to attend school. However, if the first dose of MenACWY was received at 16 or older, the second dose is not required for school entry. The requirements affect not only children of public and private primary and secondary schools but also children who attend day care facilities, certified family child care homes, preschool programs and other licensed facilities providing care for children. Home-schooled children are also required to submit current immunization certificates to participate in any public and private school activities. Parents and caregivers are advised to see their child's medical provider or local health department as soon as possible regarding immunizations. 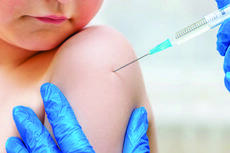 Updated and current immunization certificates are to be submitted to school before the start of the new school year. More information, forms, and details can be found on school and district websites. New versions of forms can also be found on the Kentucky Department of Education's website, education.ky.gov, or the Cabinet for Health and Family Services, chfs.ky.gov. Religious exemptions must be documented on a signed and notarized Commonwealth of Kentucky Parent or Guardian's Declination on Religious Grounds to Required Immunizations form.